love this mask- it hydrates and smells lovely. after i was it off, my skin is plump and dewy without being greasy. love to use it after the sugar face scrub! In this jar, contains 5-10 minutes of pure bliss for your face. 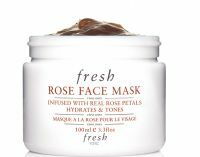 After you cleanse your skin, apply a small layer of this rose infused mask to moist skin. Itâ€™s so safe you can use it daily. Itâ€™s like heaven. The rose petals literally melt into your skin, leaving your skin hydrated and glowing. The relaxing aroma of the roses just takes you places. I was lucky enough to be gifted this and I made the time to use it twice weekly. Good one to try.